mobileWOMEN.org: Go Green for St. Patty’s Day! This month, we wanted to celebrate St. Patrick’s day by introducing a few ways to incorporate healthy eating into this month’s festivities. Spring is just around the corner so now is the perfect time to shift from heavy comfort foods to energizing, low calorie yet nutrient dense options. Improving digestive health: vegetables like spinach, asparagus and broccoli are packed with insoluble fiber and magnesium, two important nutrients for colon health. Lowering the risks of cancer: antioxidant properties like lutein and carotenoid can be found in greens like cabbage, arugula, kale and spinach which help fight against free radicals that can lead to cancer. Providing key nutrients to help keep bones strong: you may have heard before that dark, leafy greens carry a great dose of calcium and Vitamin K which are two nutrients that play a part in bone health. It’s true! Try greens like swiss chard, green leaf lettuce, spinach (a heavy hitter!) or kale. This is especially important for wheelchair users who are more prone to osteoporosis. Increasing heart health: Veggies such as brussel sprouts, lima beans, avocados and spinach (!!) contain soluble fiber and folate. These are important as they help to reduce inflammatory markers and cholesterol levels that in turn, aid the health of our hearts. Plan ahead and buy in advance: Healthy eating takes planning and you’re more likely to use green vegetables if you know you ahead of time how you’re going to use them. Try new cooking methods: If you have only ever had vegetables boiled or canned, you’re missing out on some incredible flavor that can come from the variety of ways produce can be prepared. Try sauteing vegetables to keep their crispness or roasting with light coating of olive oil to enhance the taste of natural sugars inside produce like asparagus, brussel sprouts or zucchini. Delicious! Substitute vegetable for other ingredients: While not green, one of my personal favorites is substituting roasted spaghetti squash for semolina pasta when I have “spaghetti” with tomato sauce. It is a great way to both increase my nutrient intake while also eating a healthier carb! You could also consider using lettuce leaves for wraps when making sandwiches. 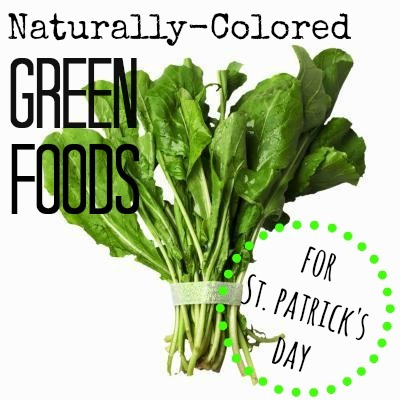 Add green produce in unexpected places: It has become more common to add greens such as kale or spinach into smoothies, but what about also adding them into your favorite soup recipe or into a turkey meatloaf (even if it doesn’t call for it)? I’ve also come across recipes that incorporate avocado, a very healthy fat, into brownie and cookie recipes. This recipe is all about using a green ingredient in a way that has become wildly popular. Kale chips! I have made these a number of times now, as a snack, an appetizer and even as a side dish. It’s simple, basic, healthy and absolutely delicious! These are best to eat right away when you make them. I imagine they would not likely store well and remain crispy. I’ve never had any leftovers! Thoroughly wash and dry Kale. It must be as dry as possible in order to have the most crunch possible. 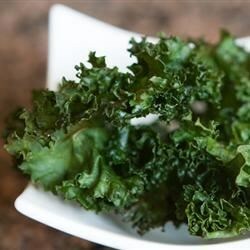 Tear or cut Kale leaves away from the stem and break or chop into large pieces. Place on a baking sheet (can be lined with foil or parchment paper if you would like easier clean up). Drizzle with olive oil (enough that when you toss the pieces, every one has a little bit of oil, but not so much that the oil is collecting on the pan) and sprinkle with salt and pepper to taste. Toss gently. Place in oven and bake for about 15 minutes, until the edges are golden but not burnt. Rotate pan halfway through cooking. More or less cooking time may be needed depending on the amount of Kale that is used. Enjoy! Have any “Green” tips of your own? We’d love to know what they are and share them with our mobileWOMEN.org Facebook page.